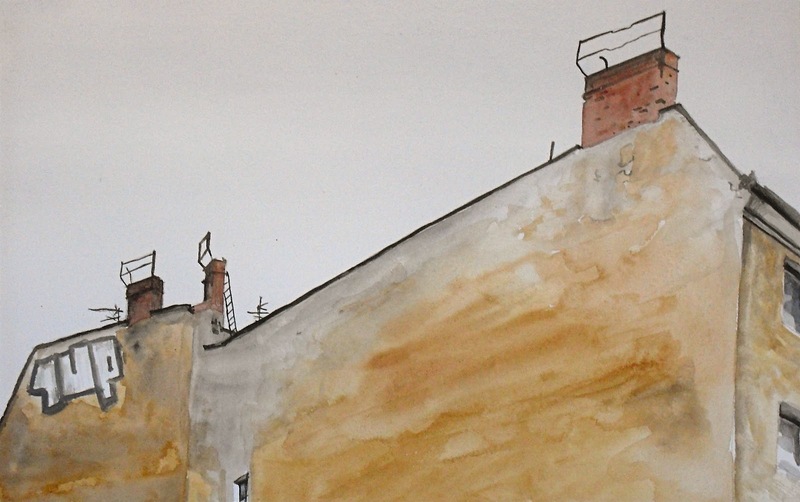 An exhibition of works on paper—plants in jars, people on public transport, and vanishing views of Berlin, 16 February – 2 April 2012. Opening 15 February, 19:00. People on Public Transport in January 2012. Holteistraße Ecke Boxhagener, vor Baubeginn des neuen Ökohotels (Sommer 2011). Ich wünschte, ich könnte da sein... Viel Spaß und Erfolg! F.